Tucked among the hills of Western Massachusetts is a place where boaters are treated to spectacular scenery, charming historic towns, exciting nightlife and exceptional restaurants. The Northampton, Massachusetts area is known for its college atmosphere (the region is home to five major colleges and universities), its lively downtown that is home to exciting theaters, art galleries and world-class restaurants, and its history (the area was settled in the mid-1600s). 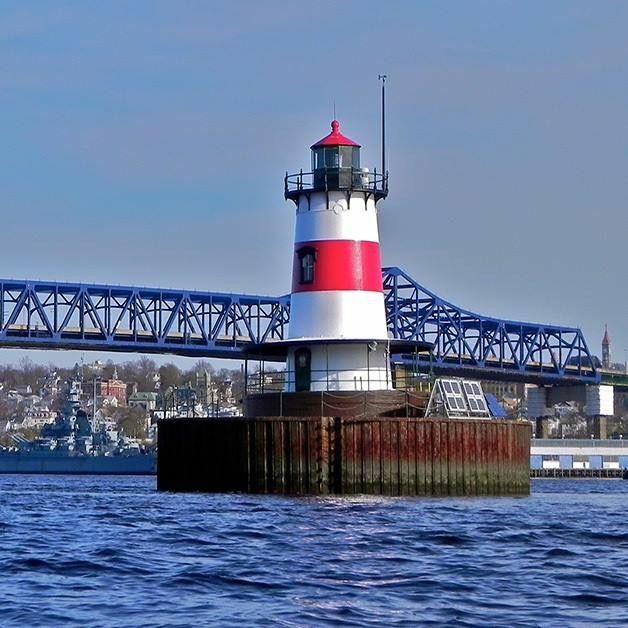 But thanks to it being located on the banks of the Connecticut River, it is also home to a unique and exciting boating scene. Northampton is located on the eastern shore of the river. It’s a special part of the river, as the 15-mile stretch between Deerfield to the north and Holyoke to the south is wide and steady, making it popular among boaters who enjoy water sports, fishing or picnicking along the scenic shores. This stretch of river is renowned for its scenery as it winds through rolling green hills, steep mountains and pastoral farmland featuring long, wooden tobacco barns and fields of corn, asparagus and cucumbers. When visiting the Northampton area, you’ll find that the Oxbow Marina (oxbowmarina.net; 413-584-2775) is one of the most popular entry points to the river. This Crownline dealer is located at the southern end of Northampton on an offshoot of the river that is shaped like its namesake. The marina has more than 300 slips and a popular boat ramp, and it is near the scenic Arcadia Wildlife Sanctuary. While in the area, you’ll likely want to spend your days boating on the river. But when it’s time for a break, you’ll find plenty to do in the area. In Northampton you’ll find the Smith College Museum of Art (413-585- 2760; www.smith.edu/artmuseum) and the Smith College Botanical Garden (413-585- 2740; www.smith.edu/garden) on the Smith campus in downtown Northampton. The Calvin Coolidge Presidential Library and Museum (http://forbeslibrary.org/calvin-coolidge-presidential-library-and-museum/; 413-587- 1014) is housed at the Forbes Library, also downtown. Music venues such as Pearl Street Nightclub, Iron Horse Music Hall, and the Calvin Theater host popular musical acts. For lists of shows, check out www.iheg.com. Visitors can rent bicycles and take advantage of the popular 11-mile Norwottuck Rail Trail linking Northampton to Amherst (www.mass.gov/dcr/parks/central/nwrt.htm). the banks of the Connecticut River. When you get hungry, the area is known for its variety of great eateries. Anyone who enjoys breakfast should start their day at Sylvester’s Restaurant (http://www.sylvestersrestaurant.com/; 413-586-5343). A favorite Mexican restaurant is Mama Iguana’s (http://www.spoletorestaurants.com/mama_iguanas/mama_iguanas.html; 413-586- 0400), which, besides a huge menu, boasts a giant tequila selection. Fitzwilly’s (https://www.fitzwillys.com/; 413-584-8666) has been a favorite in the area for more than 40 years. If you like craft beer, as well as good food, check out the Northampton Brewery (www.northamptonbrewery.com; 413-584- 9903), which helped launch the area’s robust craft beer culture when it opened in 1987.